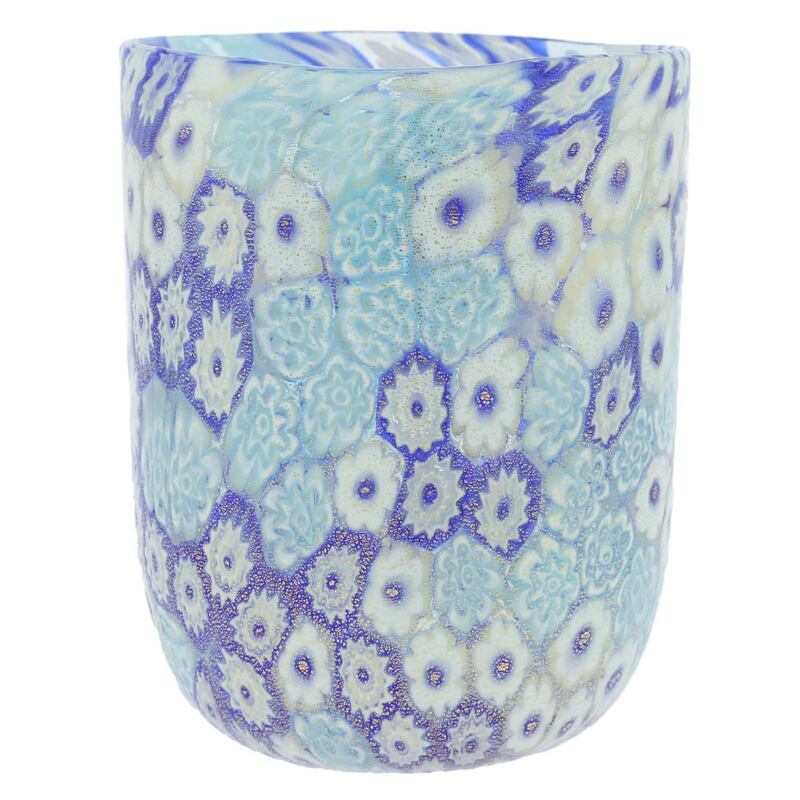 Our unique Murano tumblers handcrafted with passion and skill by famous artisans of Murano Island will bring centuries-old Venetian artistic tradition right into your dining room. 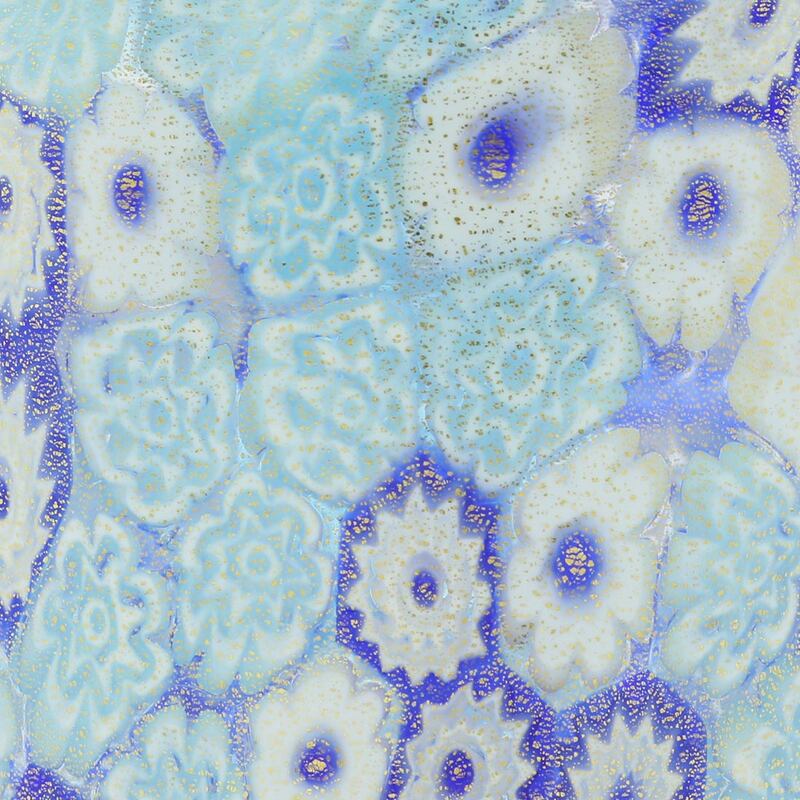 Delight in the opulence and splendor of Venice by savoring the beautiful shimmer of colorful Millefiori mosaics in the cool shades of aqua, navy blue and white, richly dusted with 24K gold. These gorgeous Murano drinking glasses are great for water or soft drinks, highball cocktails, mixed drinks, or just as decorative pieces in your china cabinet. Light, exquisite, and perfectly practical, they will wow your guests with refined elegance of the bygone era. 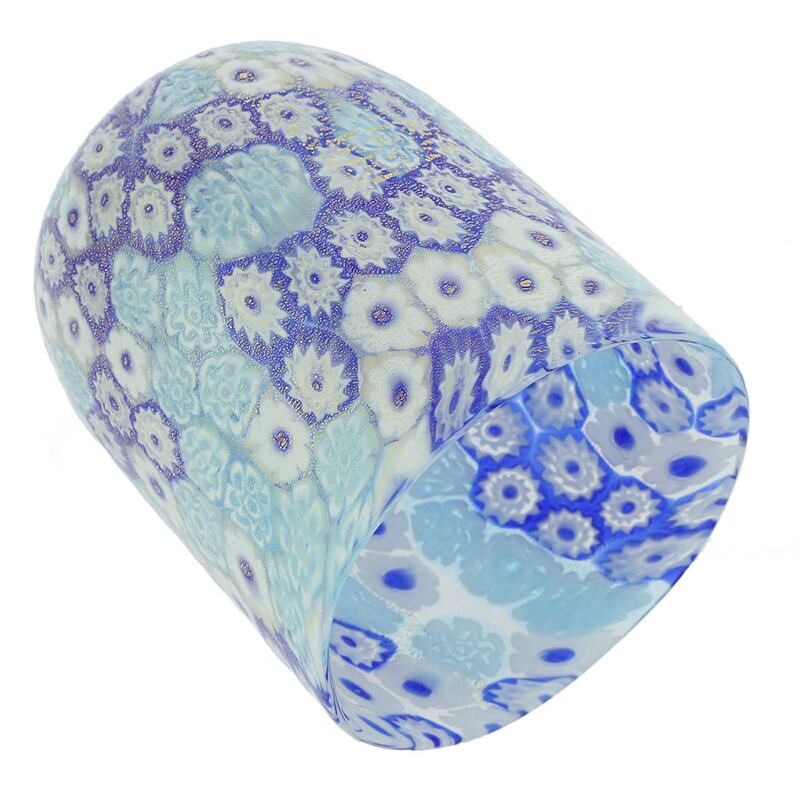 A handcrafted gorgeous Murano tumbler, or a set of them, makes a special luxurious gift for momentous occasions such as weddings, anniversaries, or birthdays. 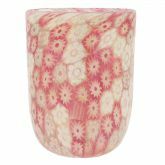 Our authentic Murano tumblers are created entirely by hand using only traditional glass-making methods by renowned Murano masters, whose works are displayed at exhibitions and in private collections worldwide. Measurements:The glass is approximately 4 inches tall and 3 1/4 inches in diameter at the top. These glasses come very well packaged to avoid damage in transit and each one is accompanied by a certificate of authenticity. 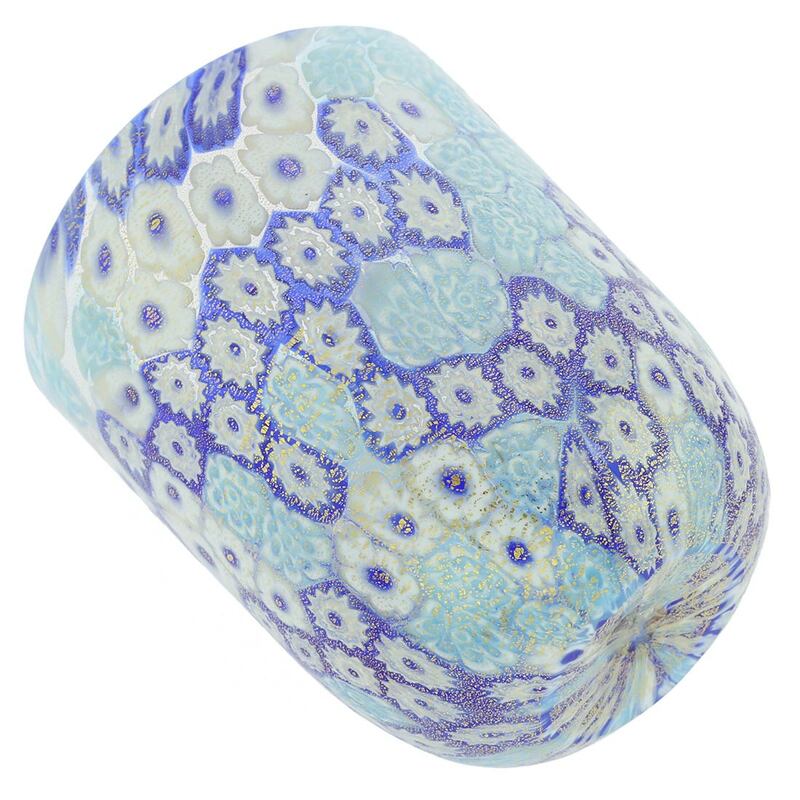 Because each Murano Glass piece is a unique work of art made by hand, slight variations of sizes, colors, patterns, and shapes are possible. Elegant and beautiful! When you hold it to the light it’s even more beautiful.